A strong new style comes to prominence in the form of Elenoire Love. 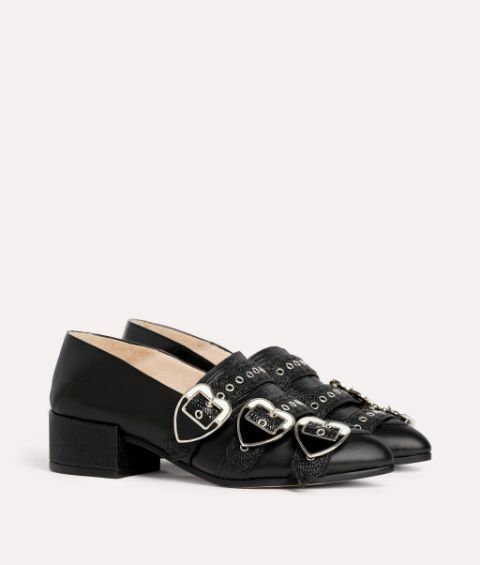 Fastened by enamel two tone heart buckles, this all black loafer is detailed with watersnake texture across the vamp and features a collapsible back so it can be styled two ways. 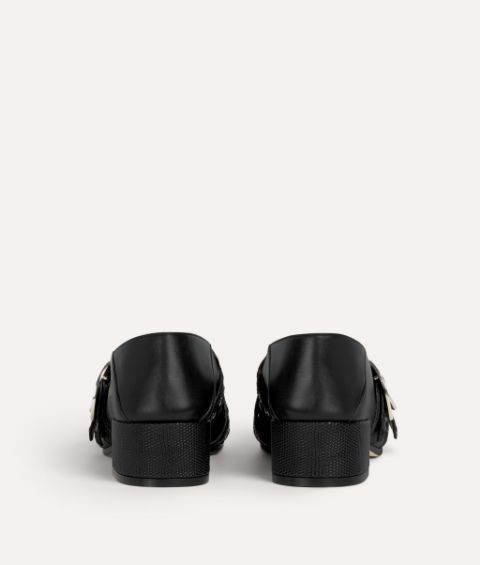 We love the contrast of monochrome leather with delightfully decorative details.